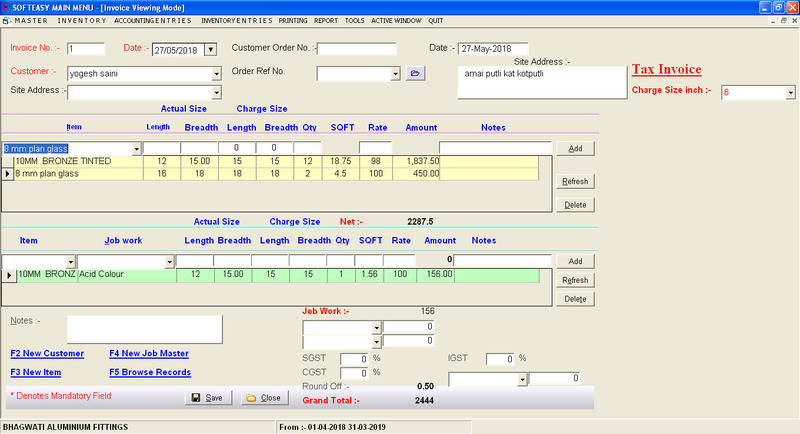 We have made a Tool Application Programmable Interface (TAPI)or The tally Integration Software which allows to transfers data from Tally Accounting Software to other data stores like MS. Excel, MS Word, MS Access, Oracle, MySQL, FoxPro, DB2 & Universal database for Microsoft Windows Platform. 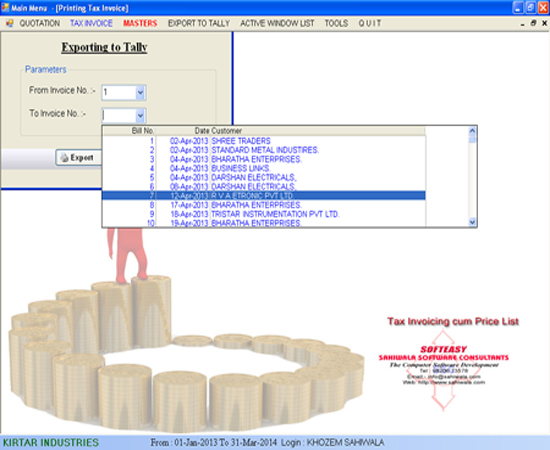 We Sahiwala Software Consultants develop & design to Import and Export Data From Tally ver 7.2 onwards to latest version via XML File and Export to desire Destination. We Sahiwala Software Consultants develop & design to Import Data From Tally ver 7.2 onwards to latest version via XML File and Export to desire Destination. Purchase, Sales, Receipt, Payment, Journal, Contra and Stock Vouchers are avail. We Sahiwala Software Consultants develop and Design Integration in to Tally Software so that Data will be availalbe with Formatted for Tall y Export, means the User do not have to Recreate / Punch / Data Entry the Master, Posting, Changing Units and Currency. We can also Bring the Tally Data in to the Desired Destination like as Microsoft Access, Microsoft Word, Microsoft Powerpoint and etc.The Entire Process is a quick and reliable.